Dolceacqua is small village and commune located in the Liguria region of Italy in the province of Imperia. The village is located close to the cities of Imperia and Genoa. Dolceacqua is located on the border with France. The village is spread over an area of 20 sq km and has a population of close to 2000. The village is mostly known for its ancient castle which is believed to date back to the 11th century. Like many other villages of this region, Dolceacqua was built as a fortified village with a main castle and ancient walls built around the main village to protect the village from invaders. The castle has been passed on through several hands over the centuries and has also been transformed and renovated many times. 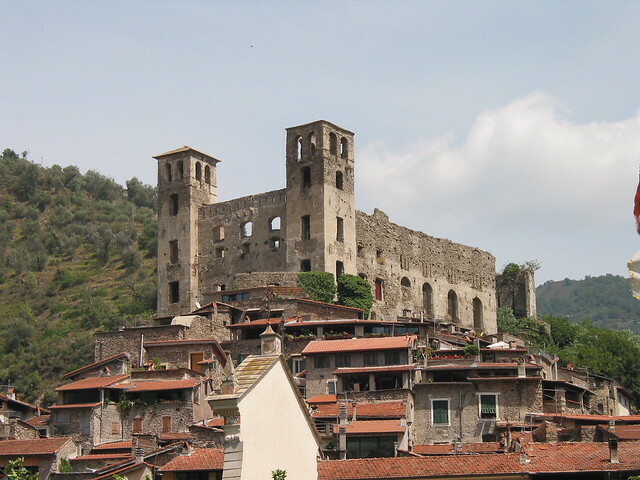 The castle of Dolceacqua is the main sight seeing attraction in the village. The castle originally belonged to the Doria family and over the centuries underwent several changes. The 13th century round tower which was a part of the original design was enlarged and incorporated with the wall in the 14th century. The castle was made to be a large fortified manor palace with several new rooms in the renaissance period. The rooms were all very extravagantly decorated with various art works and frescoes around the central courtyard of the palace. The castle had been attacked several times; however in 1744 it was destroyed by the heavy attacks during the War of Austrian succession. The castle was no longer occupied by the owners since they moved to another palace near the main church of the village. Finally, in 1887 the castle again suffered at the hand of the massive earthquake. The castle has been restored by the local government and is used for various cultural events. The castle had been closed to visitors for more than two years and was reopened in 2007 after refurbishments. The floor work, masonry and the main structure were all repaired. The courtyard and the spirals were all refurbished and various architectural features were added to the structure. A second patio was added in the rear for a conference hall. The castle now has a projection room which organizes several movie shows about the history of the castle and is made in four languages. Various photographs and information boards have been placed though the castle. Occasionally some of the rooms of the castle are set up for events, exhibits and art workshops. Dolceacqua is a very small village and does not have many options for visitors in terms of accommodations. Most tourists visit the village as a day excursion from Genoa since there aren’t many sight seeing attractions to explore in the village except for the ancient castle. Dolceacqua is located only a few miles away from Genoa and Savona so most tourists prefer to stay in the larger cities since more options are available. There are only three to four hotels in the village which have been converted to hotels from old villas and are managed and run by the local families. Visitors who plan to stay longer in the region can rent a farm house or a villa in Dolceacqua. The three known hotels in the village are Hotel Adolfo, Hotel Panoramic La Riserva Di Castel d’Appio and Hotel La Riana. These are all located close to the center of the village. Rooms are clean and comfortable but not very luxurious and getting rooms is easy throughout the year. 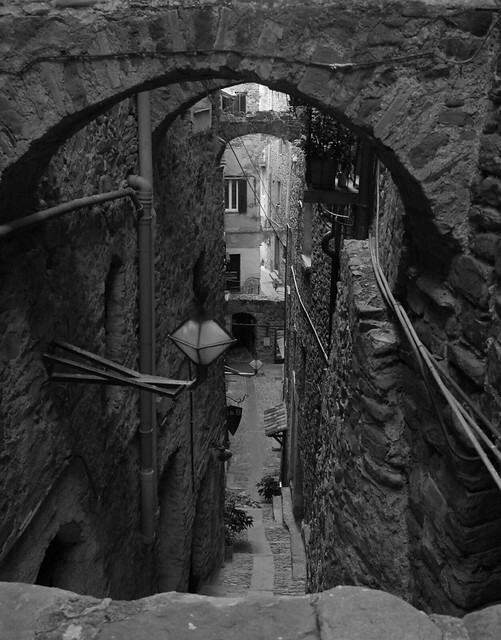 Dolceacqua is located close to the main cities, Genoa and Imperia so it isn’t very difficult to reach the village. Visitors who are travelling from other countries and from the other regions of Italy can reach Genoa by train and by flight. Genoa is very well connected to most major destinations so it is quite convenient. From Genoa an Imperia visitors can travel to Dolceacqua by bus or by car. The state buses depart frequently from the main train stations in Genoa, Imperia and from the other towns in the province. Visitors can also drive down easily to the village from either of these two cities. Dolceacqua is a very small village and except for the castle, there aren’t any other sight seeing attractions in the town. The village is spread over an area of just 20 sq km so the easiest way to explore the village is on foot. There are several beautiful cobblestoned pedestrian streets in the village which are lined with old stone houses. The locals can be seen strolling around the village streets at all times of the day. Those who have their own cars can also explore the surrounding areas as well as the villages located close by. Dolceacqua only has a few good restaurants. The hotels in the village have their own restaurants where the locals occasionally prefer to dine. The food served in all of these restaurants is typical to the region and is quite simple, made from fresh local ingredients. Some of the typical specialties of the village are Erbun, fugasun, pasta cun bath, cundium sciure, pumate seche, barbagiuai and brandacuin. The village is also known for its various sweet and savory cakes which are available in most bakeries in the village. There are a few good products which tourists can purchase in Dolceacqua. Liguria is known for its excellent quality olives and so there are several food stores and grocery stores in the village where tourists would find good quality extra virgin olive oil. Visitors can also purchase good quality wines in the village. Olives are pressed in the local mills, most of which are cold processed and are pressed in stone with a reduction of olive paste. This is then processed and pressed which results in excellent quality olive oil. Visitors can also purchase several varieties of pastries and cakes, both sweet and savory from the bakeries in the village.